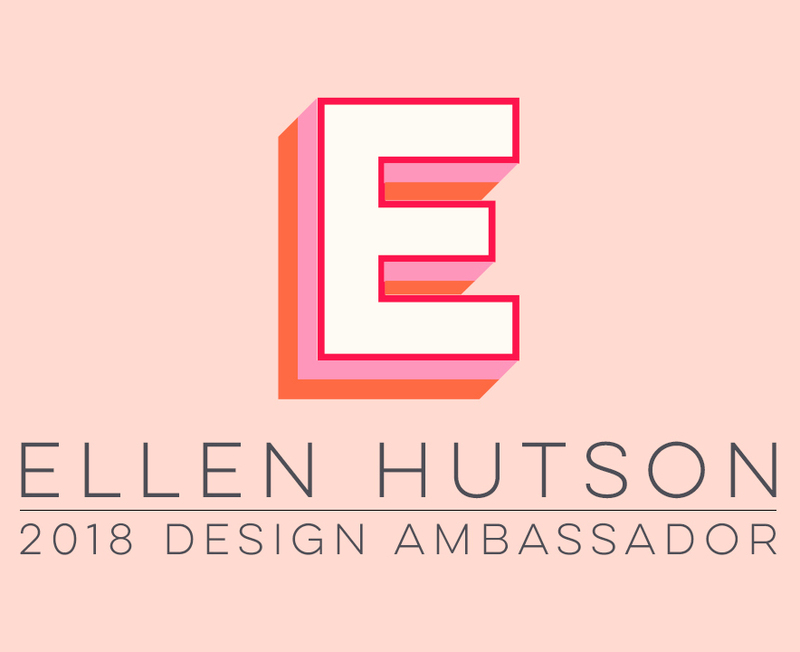 A Note From Ellen Hutson: Last November Ellen Hutson began celebrating our 10th anniversary with the theme United We Flourish. And what does "United We Flourish" mean? It means that our company would not be here without the amazing companies we work with, the designers who create stunning projects showcasing the wonderful products being created AND you, our fabulous customers! YOU are such a vital part of our creative community - you inspire and encourage us! Your response to United We Flourish was overwhelming and heart-warming. We heard repeatedly from you that you appreciate how our little company works together with the other manufacturers we carry to bring you their products and education showing how to use those products. To thank you for your constant support and encouragement, we have partnered with some of our friends to offer exclusive limited edition stamp and die sets! These sets will be available for a limited time (most likely 3-6 months) after each release, depending on how quickly you snap them up. The theme of these stamps sets are uplifting and fun. For the fine details of those sweet koala bears, I used Copic's new Sketch Replacement Fine Nib ... I definitely give that a high five!! :) You've been asking for it for years, and Copic delivered! This nib allows you to color and redefine small areas without the sometimes imprecise flexibility of the Super Brush nib. You can adapt any Sketch marker for Fine Nib use, OR just get another marker or two, or set -- to add your Fine Nibs to! ;-) The Fine Nib is made of super sturdy fiber which holds its shape. To finish the card, I glittered the butterflies, koala noses, leaves, cockatoo crest and nose with Clear Wink of Stella marker. Then I scattered clear sequins in 4mm and 6mm sizes. The panel was die cut with a stitched die, then mounted to a Bazzill Candy Hearts card base. Don't you love that awesome sentiment? :) I think the sweet G’Day Mate animals make it even cuter! Be sure to check the CLASSroom blog all this week, for more fabulous inspiration using this new G’Day Mate stamp and die set! Hello and welcome to Christmas in July! There's nothing like thinking about cooler weather and getting a head start on holiday cards than in the middle of the hottest part of the summer -- right?!! :D Plus, a SALE doesn't hurt, either -- Just click the banner above to shop the Christmas category! The Ellen Hutson team has a little blog hop going on today for you, to help get you in the holiday cardmaking spirit! We hope you'll join us -- You can find a list of all those participating today over in the CLASSroom. Here's my project, in a chilly shade of blue! When last year's Essentials by Ellen Holiday 2016 stamp and die release came out, I never got the opportunity to use the beautiful dove from Julie's Bird Shapes die set, so I was elated to get to use it now! Isn't it gorgeous?! More inspiration for #WorldWatercolorMonth -- I created a quick background using my Kuretake Gansai Tambi watercolors: #57 Turquoise Green (very watered down). After washing the background with the lighter Turquoise Green wash, I splattered it with a darker/less watered down Turquoise Green and a mixture of both Bluish Gold and Antique Gold, both of which come in the 36-color set. The watercolor background was die cut with the large stitched panel from MFT's Blueprints 15 die set, then mounted onto a Curious Gold Metallic card base. Next, I die cut the large dove from Essentials by Ellen Bird Shapes from watercolor paper, dipped the edges in Versamark (using a Versamark Pen for the tighter-to-reach areas between the wings) and gold heat embossed it. The gold really makes the white of the dove pop against the background -- I love the final look! The "olive branch" the dove is carrying is from Brandi Kincaid's Homespun Holiday stamp and coordinating Homespun Holiday die sets. I gold heat embossed it onto watercolor paper, then watercolored it with the darker #57 Turquoise Green watercolor. The beautiful sentiment from Julie Ebersole's Season To Sparkle stamp set was also gold heat embossed -- there's nothing like little touches of metallic shimmer to really say "holidays"! The Peace word from Julie's Holiday Words die set was cut from watercolor paper and watercolored with the Bluish Gold and Antique Gold watercolors. The Peace word, dove, and branch were all popped up on X-Press It Foam Mounting Tape, to add interesting dimension. Easy-peasy ... done! Are you in the holiday spirit now?! :D Please be sure to visit the CLASSroom, to find a list of the other designers also participating in today's hop. Happy weekend! The colors I used were: Light Green, Light Blue, Cobalt Blue, and Persian Blue. To finish the card, I die cut the watercolored image with MFT's large stitched panel from Blueprints 15 (or Lawn Cuts Large Stitched Rectangle Stackables are very similar) and mounted the panel to a Bazzill Candy Necklace card base. I hope you'll check out the blog post over on Ellen Hutson's the CLASSroom today, to see more examples using this new release! I also have this little public service announcement: Guess what just arrived in Ellen Hutson's shop late yesterday . . .
Oh, YES -- The brand NEW colors of Distress Oxide Inks!! (Note: If the product link says they are currently out of stock, go ahead and click on one of colors and the "Add to cart" button will show up. If not, refresh your browser or clear your browser cookies). How awesome would this Mermaid Tail be stamped or watercolored with some of these awesome new bright colors?!! Oh-la-la . . . I can't wait to get these beauties in my hot little hands! Just click the link or graphic above to get them into YOUR hot little hands, along with a Mermaid Tail and/or Crafty Lady, LOL! I'm loving #WorldWatercolorMonth -- how about you? I thought my Copics might be getting a little jealous, so I decided to incorporate them into the watercolor mix today and use my Various Ink Refills in one of my favorite ways ... you guessed it -- by "watercoloring" with them! Don't you LOVE that vibrant color?!! "Watercoloring" with your Copic Various Ink Refills is quite simple -- Just squeeze a little of the ink into a palette, fill a waterbrush with Copic Colorless Blender, then pick up your desired Various Ink color with the brush and paint away on watercolor paper! Note: It may take you a bit to get used to the flow of your waterbrush and how much Colorless Blender it dispenses -- if one brush flows a little too much or not enough, try a different brand of brush. I have several different brands and they all flow a little differently. If there is not enough Blender solution on your brush when you pick up the Various Ink color, the resulting color going on your paper will be dryer and may streak and not color smoothly. But, this can sometimes work well to add shading to previously laid-down color. On the flip side, too much Blender solution will lighten your resulting color a lot. If this happens, touch the end of the brush on a tissue or paper towel, to dry it off a bit. The key here is get to know your brush and adjust the flow before beginning on your project! To start this card, I stamped Pink Ink Stamp Company's cute new House of Flowers with Memento Tuxedo Black ink in the center of my die cut watercolor panel, then stamped the equally as cute Pretty Petals flower around the edges of the panel, to create a frame. Then I had a blast coloring! On some of the flower petals, I did a couple of coats of ink to deepen the color, allowing the first coat to dry before adding more color. I also was able to achieve some shading this way, too. 7.E21 and E23 for the house and chimney. 8. B0000 was used to lightly color wash the sky. Very lightened (with Copic Colorless Blender) YG03 was washed below the sky, to create grass. I like that this way of using my Copics allows for the use of thick/heavy, pretty textured watercolor paper! To finish the card, I die cut the watercolored panel with the largest stitched frame from MFT's Blueprints 15 die set, then mounted the watercolored panel onto a Taylored Expressions Lemon Meringue card base using X-Press It's strong High Tack Double-Sided Tape. What would you paint with your Copic Various Ink Refills? The possibilities are endless! New Essentials by Ellen Now Available! It's here and finally available ... New Essentials by Ellen!! <== Just click that link or the graphic below to see all the new stamps and dies! I hope you'll be back here for all the details on Friday! Today I have another page to share with you from my Copic 5x7 Sketchbook Art Journal. You may remember my Plumeria page from a few weeks ago, where I airbrushed in the journal. But I really wanted to try coloring with my Copic markers directly on the paper, since the paper in the journal is made with the highest-quality Japanese illustration paper and claims to be ideal for use with Copic markers and mixed-media. Sure enough, the uncoated medium weight paper colored on beautifully! Next, I used washi tape to tape the journal page to a piece of printer paper, then ran the paper through my printer (although I could have planned my margin printing a little better, but didn't feel like printing another page!). The Sketchbook paper took my HP inkjet printer ink beautifully and did not smear with the Copic marker coloring! I hope you'll give one of these Copic Sketchbook Art Journals a try -- the paper is lovely to color on and blends beautifully! I didn't get a photo of the back side of my colored page, but there was very little marker bleed through. Now it's back to reality (from vacation), but I'm glad I have many more beach photos I can print and color whenever I feel the need for a getaway! :) What would you put into a Sketchbook like this? Let me know -- I'm looking for more ideas!